A laboratory is ‘a building set apart for experiments in natural science, in chemistry, and for manufacture of chemistry’. Laboratory buildings are technically and organisationally highly sophisticated, as they have to efficiently serve specialised work processes. They provide a controlled environment to prevent contamination of the test and research results. Programmes include office spaces for theoretical research, laboratories for experimental work, support spaces and building services, all of which are functionally linked and optimised in their spatial organisation. The open-plan arrangement is used more in teaching labs in universities, as different processes are studied, whereas the cellular plan is more effective for work with dangerous materials and specific work processes. ‘Since no one could foresee what the nature or scope of future experimental work might be, a plan had to be developed to permit complete flexibility in the arrangement of the laboratory spaces so that changing needs could be met at any time with a minimum of convenience and expense.’ Although there is some flexibility in arrangement, the laboratory is in fact a highly specific building type, defined by work processes, technical requirements and equipment. Thus most labs in laboratory buildings are organised the same. The idea of communication is an important element in the planning of both past and present precedents. In the past, in open-plan laboratories such as the Johnson Wax Tower, many scientists worked on different projects and all social interactions occurred in the same space. 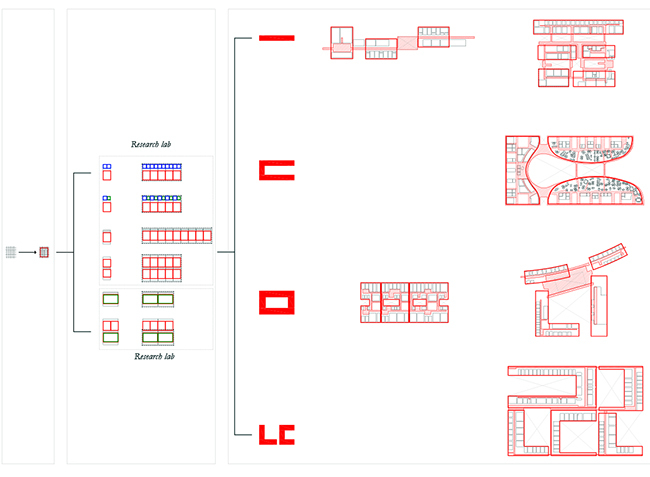 Today, with an increased specialisation, the cellular-plan organisation provides shared spaces outside of the lab, in lobbies, atriums, bridges, courtyards, etc. The shared spaces are meant to stimulate exchange between scientists, creating an “open stage” for researchers to meet and communicate with each other. Thus, laboratory buildings include spaces that encourage the production, exchange and sharing of knowledge at two scales, between scientists within the building and between the building and the city. With the emergence of an ‘open lab’ the following questions arise: Are the shared spaces in open-plan offices, lobbies, atriums, conference halls, restaurants, cafés, libraries etc effective in stimulating a knowledge and exchange environment and are they becoming more important than the labs themselves? However, at the same time, how important does security and isolation remain for research and the work carried out in labs? The work of scientists is the production of knowledge, often with commercial value or made available to the scientific world. Laboratories are not only found in institutes, but also in industrial complexes, science cities and technology parks. It can be said that the laboratory is a place of innovation and communication. In laboratories, most experiments and researches rely on knowledge sharing between scientists. While in the past, the work of scientist resulted from long periods of independent research that required isolation from the surrounding, today, scientific achievements are often the result of collaboration between scientists from different disciplines. With a significant change in the speed of development in the sciences, institutes and companies compete now for research findings, funding and intellectual property rights. This forces them to create spaces not only for research and specialised equipment, but also places for social interaction between scientist and others. At the urban scale, laboratories experienced a significant shift from a mono-functional institute to a multiple-programme complex. Historically, laboratories were isolated from the city and located in suburban areas, due to specificity of work processes and danger of contamination. However today, research institutes are keen to locate near to urban amenities as this has become important to attract highly skilled knowledge workers. This is seen to foster knowledge exchange, by bringing related academics and institutes together. It forms a network embedded in the city, and more precisely, often a city campus. The following analysis examines laboratory buildings in an attempt to clarify what the laboratory organisationally and spatially is. This also studies the innovation of laboratories buildings, how they might provide appropriate conditions for scientific work taking place in an urban context. William Little, H.W. Fowler, Jessie Coulson, ed. by Onions C.T., 3rd edn Shorter Oxford English Dictionary on Historical Principles (Oxford Clarendon Press 1973, 1983), p. 1165. Tadahiro Toh, Archivision Architect and Associates,Laboratories & Research Facilities : New Concepts in Architecture & Design(Tokyo: Meisei, 1996. ), p.4. 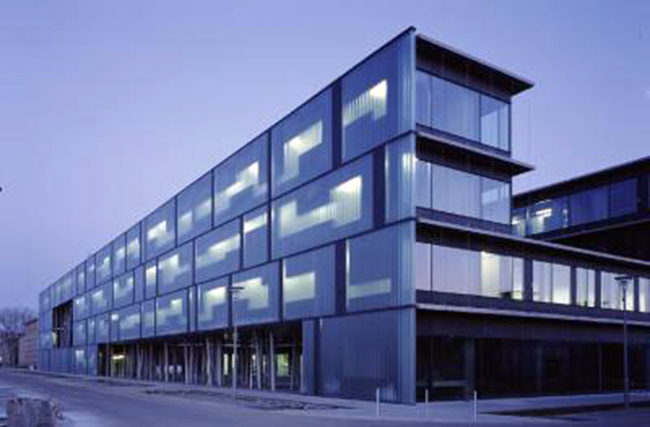 The laboratory was designed by Augustin und Frank Architekten and completed in 2002. The institute brings physics and optical science together. It is located in the new Humboldt University campus in Berlin. Laboratory – ‘a building set apart for experiments in natural science, in chemistry, and for manufacture of chemistry’. It is a space for scientists with specific conditions conducive to scientific or technological observation, research, experimentation and innovation. The aim of any scientific process and its product is scientific information, which will be stored in books and articles or as the knowledge and experience of scientists. Consequently, laboratory buildings are an important architecture of knowledge production. In the analysis and classification of buildings, architects and theorists use term the type according to a number of different meanings depending on the speaker’s understanding. 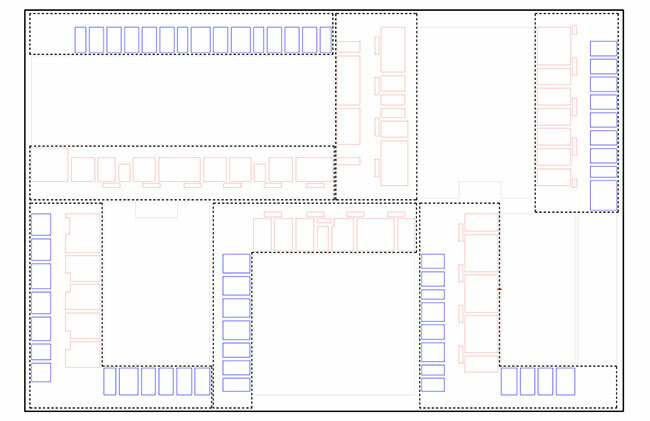 The two most common approaches to typology are to define buildings by their function, for example, dwelling, school, bank, fire station – or by morphological specificities of organization – one-room buildings, linear buildings with enfilades or corridor systems, square or circular building around a courtyard, etc. Although these two schemes are not the only one that have been developed in the past, methods of classifying form the basis for identifying building type. 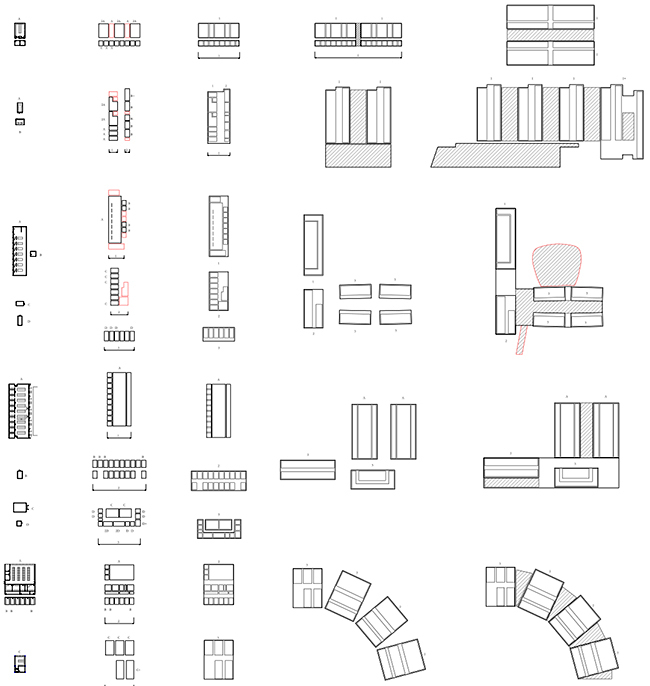 Inspired by leading architectural theorists and thinkers of the past like Le Corbusier, Walter Gropius and Aldo Rossi, this thesis is an attempt to see if laboratory buildings can be understood as a type with their own specific features. 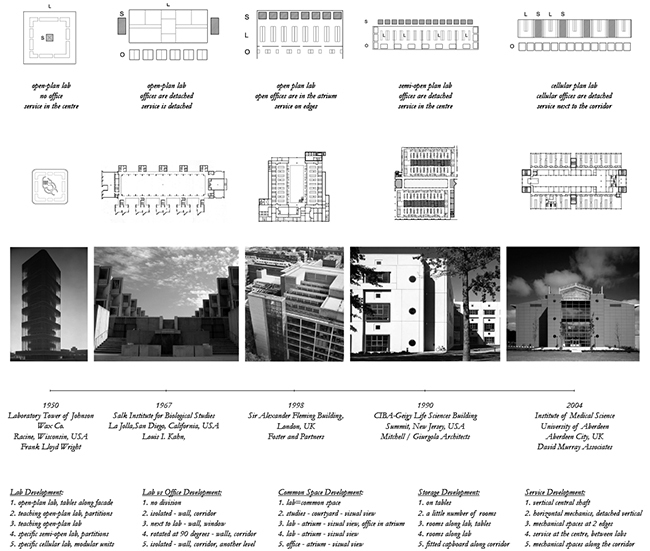 In architectural practice there is an entire generation of laboratory buildings that have developed in line with the evolution of scientific practice. Starting from early examples such as the chemical Royal Swedish Laboratory in1686 and Johann Friedrich Bottger’s laboratory in Dresden in 1701 (studying transformations of metals into gold) and continuing in the 19th century when laboratories become an important part of large paint and chemical producers such as Bayer, Krupp (from 1863) and Siemens (after 1905). Today we find laboratories as part of countless scientific research institutes, industrial complexes, science cities and technology parks. Laboratory buildings have shared principles in organisational structure to provide the best possible working environment for the scientists. They all consists of: office spaces for theoretical research, laboratory modules for experimental work with controlled environmental conditions, support spaces (cold rooms, storage) and systems of services such as air conditioning, water and gas, etc. These spaces are strongly linked to each other functionally and most laboratories solve the problem of disposition in the most efficient way possible. Defining laboratories as a type allows us to follow their historical transformation and their role in a larger research cluster as well as their relationship with the surrounding area. 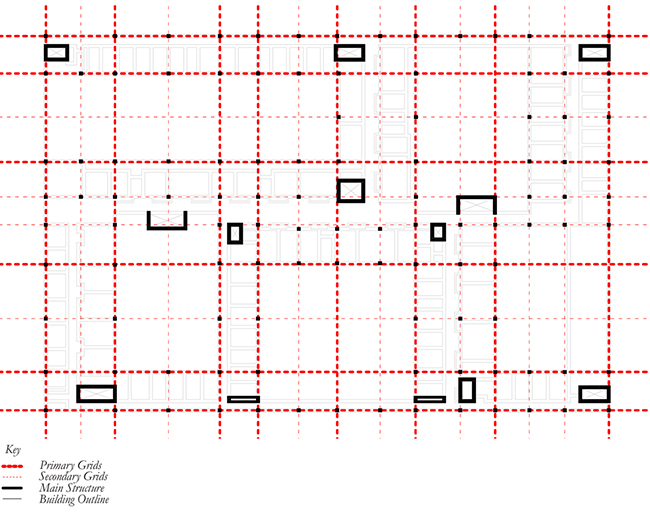 Analyzing constant principles of organization of the main spatial elements gives an opportunity to recognize similarities and differences in each case study. Through distinguishing between these characteristics we get closer to understanding the way the type functions in an economic and urban context. Laboratory buildings are structures that are highly sophisticated both technically and organizationally. Their main aim is to serve different processes of work, from experimental to theoretical studies. As mentioned above, the result of this work is knowledge that can- in some cases – be used for commercial projects or accelerate future discoveries in the given scientific field. The entire idea of buildings with this kind of function is the rational organization of highly specific spaces, which provide all that is necessary for inventing and testing scientific ideas. To examine the laboratory functionally, is to analyse modular, circulatory, technological systems that create a particular machine for producing knowledge. 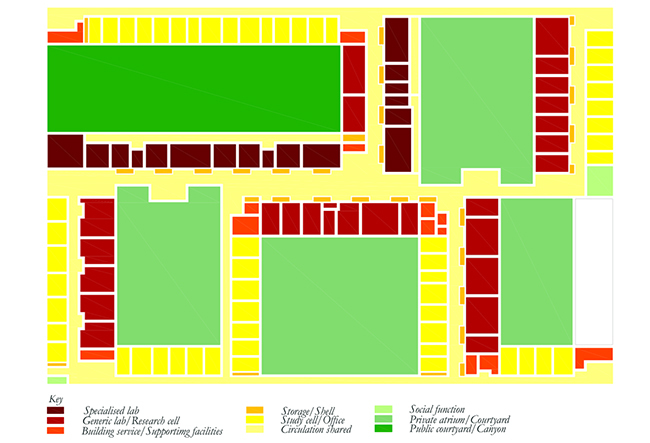 The most common approach to classify building types is by their function and the laboratory building is most likely to be seen from this point. Laboratory buildings consist of the main functional elements that can be divided into primary, secondary and tertiary areas. 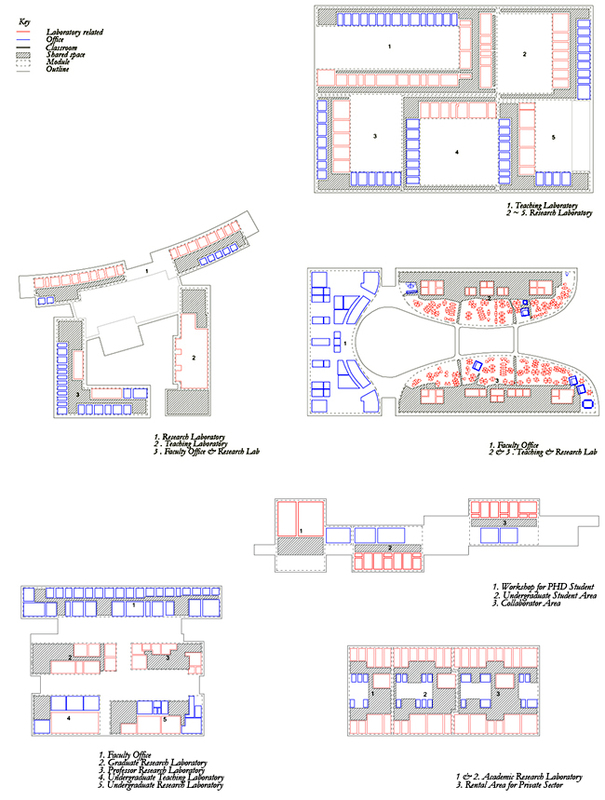 Primary area: offices, laboratories, support spaces and system of services; secondary spaces are for social activities, such as conference halls, libraries, cafés, lobbies; tertiary elements are information and administration offices. 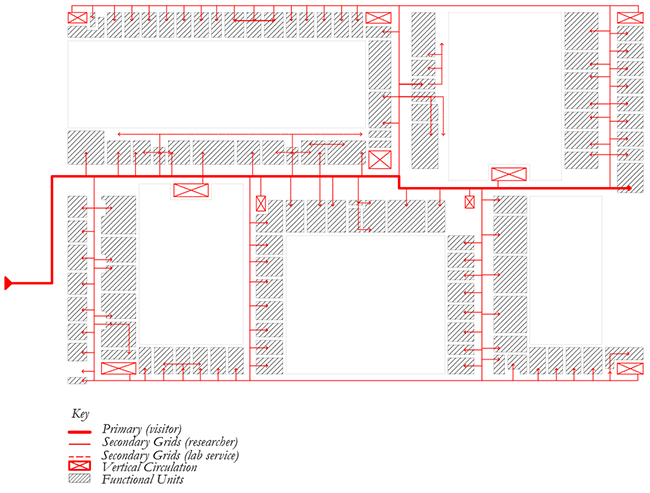 The most frequent organisation of these elements is cellular plan of the laboratory, with repeatable units along a corridor and with modular equipment inside them. Cellular arrangement first of all deals with the basic questions of standards, norms, economy and control by fulfilling the demands of regularities and functional necessities. Looking at architecture as a matter of technology is not new, it has much in common with the ideas of Le Corbusier, who wrote: ‘Machinery contains in itself the factor of economy, which makes for selection. The house is a machine for living in.’ The period of the Second Industrial Revolution and Ford’s ideas influenced the emergence of a new attitude towards architecture, which was one of mass-production. Anthony Vidler writes about this time, when ‘buildings were to be no more and no less than machines themselves, serving and moulding the needs of man according to economic criteria.’ Thus, the laboratory building with its complicated functional organization can be perceived as a working machinery for developing science and producing knowledge. Indeed, all laboratory buildings share the idea of the ‘machine’ because of the rigid structure, both constructive and organizational that is derived from specificity of scientific work and safety regulations. Location and modular dimensions of spaces directly effect the scientist’s safety, work productivity, and functionality of laboratory. For example, a laboratory space needs to be next to the room for storing working material, while the writing space for theoretical work can be divided from the laboratory. Furthermore, there are requirements for working spaces that need to be followed in order to minimize accidents in laboratories. Standards and norms control the minimum width of work aisles, circulation aisles, as well as recommending appropriate levels of illumination, quality of services coming to the working bench, room temperature, etc. 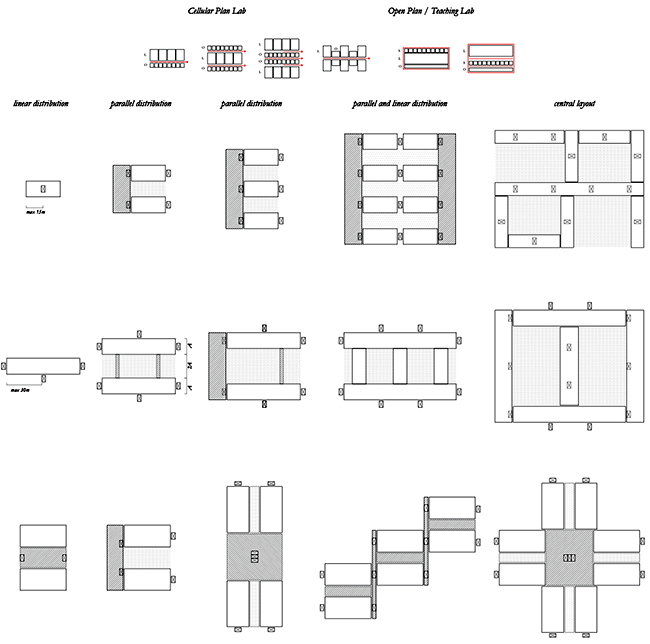 Modularity exists in the base of the laboratory design forming standardised self-contained laboratory cells. But standard schemes of laboratory cells should not be understood as something that limit the design, on the contrary, they are helpful illustrations of the most successful solutions of laboratory space that have been devised. ‘A standard may be defined as that simplified practical exemplar of anything in general use which embodies a fusion of the best of its anterior forms – a fusion precede by the elimination of the personal content of their designers and all otherwise un-generic or non-essential features.’ Thus, in laboratory buildings features of scientific working processes define functional zones with certain requirements (presence of natural light, equipment, service), which are transformed into spatial organization of laboratory. In laboratory facilities ‘unification serves as most active tool for perfection of spatial organization.’ Most of the laboratories are designed in such a way, which is adaptable to more than one field of research. In the case of Max Planck Institute for Chemical Ecology five departments in several disciplines (laboratories of organic chemical synthesis, biochemical and molecular biological) located in identical “arms”. 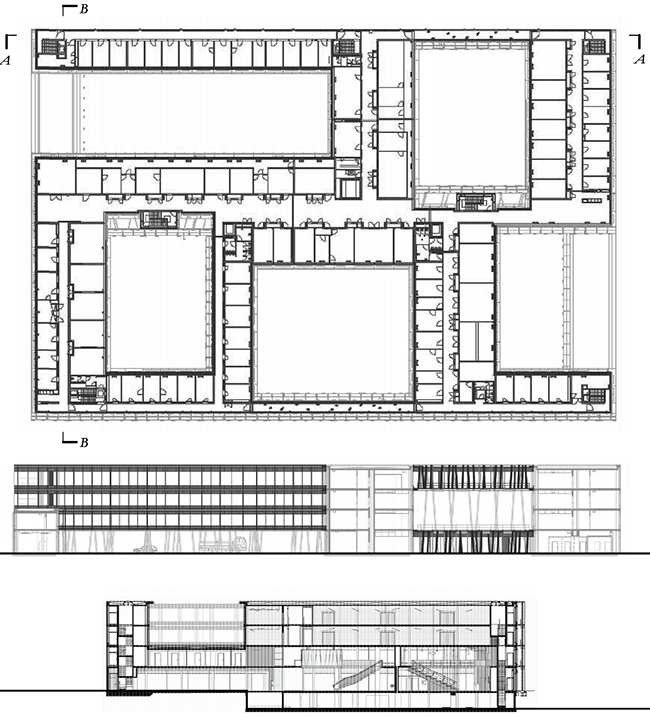 In the centre of each wing is a double-loaded corridor, with combined laboratory and storage modules to one side and office cells to the other. Cellular spaces, with modular furniture and individual vertical service shafts, may contain different scientific groups from unrelated fields. So the laboratory building as a good “machine” can still serve them and adapt to changes in the function of laboratory cell. Another strong functional elements in the composition of laboratory buildings are circulation systems. In the Max Planck Institute for Chemical Ecology, circulatory connections between all different facilities are realised by a 90 metre long hall, stairs and thin bridges that reduce walking distances. Thus in this building there is a clear spatial differentiating of activities according to the scientific process using the floor area and providing conditions for efficient maintenance. 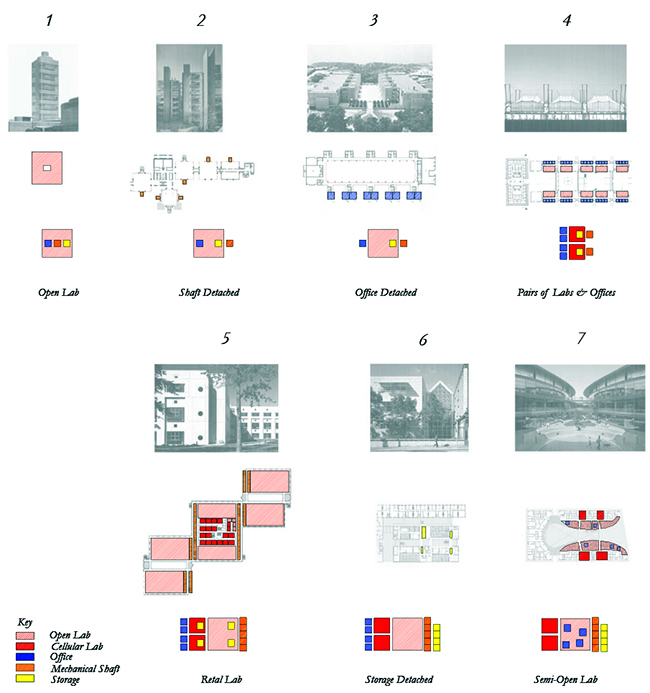 After defining main functional elements of laboratory building it is now possible to look through historical precedents to see major transformations in spatial organization. On the one hand, the technological aspects of laboratories increase with the development of science. Laboratories are becoming more and more specific as different programs require their unique environment, equipment, etc. The spatial organization of laboratory rooms hereby changed from an open-plan (where several scientists or scientific groups work in one space) to a cellular-plan (where each scientist or small scientific group work in an isolated space). On the other hand, multi-functionality and collaboration are one of the main features of a successful functioning of the laboratory building. Thus first, research buildings can serve several highly specific functions in one volume. And second, the idea of communication is seen in both, past and present, precedents. In the past, in the open-plan laboratory, as in Johnson Wax Tower, many people were working on different projects and all social interactions were in one volume. And today – cellular-plan organizations bring back the idea of shared space by including lobbies, atriums, bridges, courtyards, etc. and visual or physical connections with them. In the time of scientific-technical revolution the economic potential of the country greatly depended on the level of development of science giving rise to the idea of the science cities. In both cases, laboratory buildings are important part of these urban structures, because they are spaces for elaborating the first practical testing of new ideas and projects. For science complexes related to industry, laboratories aim to work on the application of ideas in order to generate innovative products. In university campus’s laboratories are spaces for generating and developing knowledge and sharing information. Their location can be spread along different buildings according to departments, or can be concentrated in one specialised building. Vast faculty of Mechanical Engineering in Technical University of Munich for 3,800 students from 28 departments of 7 institutes can be an example for inclusion. 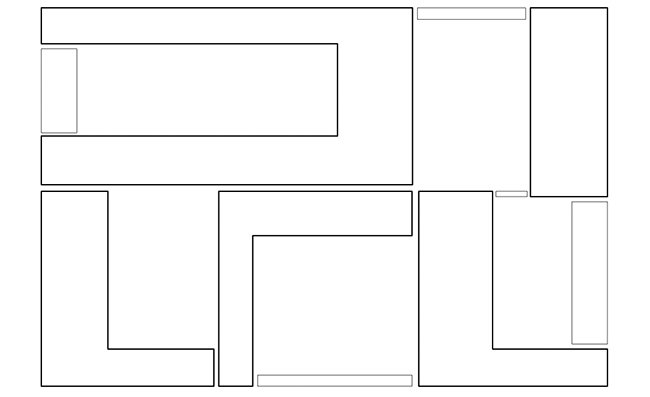 Free-standing examples seem – on first sight – to be isolated volumes, which serve their own facilities, such as providing equipped space for experiments. In fact, they are not isolated, but linked with other science facilities. First of all, their main function can dictate certain location, for instance, laboratories that are situated in a medical complex depend on the material provided by an adjacent hospital. Further, these laboratories can provide the surrounding area with unique secondary functions such as conference halls, exhibition spaces, libraries or common functions such as cafes and restaurants that can be shared and used by other departments of the campus. The Max Planck University of Chemical Ecology illustrates this very well, as it shares a library and conference hall with the adjacent Max Planck Institute for Biogeochemistry. In laboratory buildings two main processes of knowledge production – experimental and theoretical – dictate specific and most often cellular arrangements of spaces. Furthermore, there is a tendency toward a third type of activity that is very important for innovation processes–communication -spaces for which can be specific or generic. Thus, it can be said that the laboratory building is definitely a functional type. Its spatial organisation is dictated by functional features of scientific working process and the scheme of this process literally transforms the building into a system of functional cells that form the type. Usually a laboratory is part of a larger complex. Discoveries in laboratory can lead to further investments that allows for new building investments, which can further upgrade conditions. New spaces can expand the range of services/equipment thereby increasing the attractiveness of the laboratory building to scientists. As a result, other parts of the scientific campus develop and grow too. For example the laboratory building in Aberdeen is a part of University of Aberdeen, situated in the large medical campus. At first, the building was only 40 meters long, but with the extension the laboratory increased two-fold in size. Now there is further construction for more buildings, like the Suttie Centre for teaching and learning in health. Typical examples of similar process happened time ago in Silicon Valley and Stanford University. Another crucial aspect of laboratories in the context of the city is the problem of scale. When a laboratory tries to fulfil the demands of a given scientific society, it can grow to the size of small science district, which can imitate all the main features of a small traditional city. This scientific city within the city can become spatially isolated from the surroundings and can lack normal interactions with it. 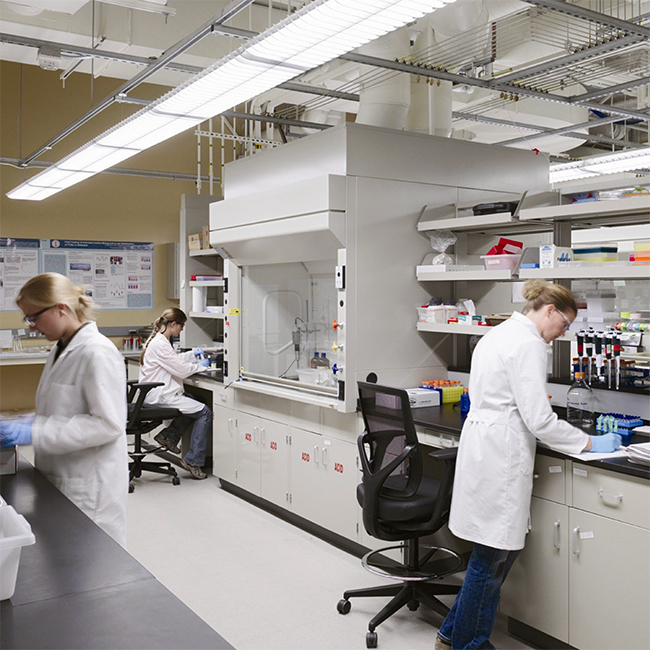 Newer smaller laboratories can find it easier to integrate with their context due to their scale. They can compensate missing functions by collaborating with other nearby laboratories and universities, thus creating an inter-linked science network in the city. In summary, the laboratory building type, when seen from a morphological point of view raises the questions of its is role in the transformation and development of larger science clusters, including the question of what relationships the laboratory should have with the idea of a science campus and the city. William Little, H.W. Fowler and Jessie Coulson, ed. by C.T. Onions, 3rd edn Shorter Oxford English Dictionary on Historical Principles (Oxford Clarendon Press 1973, 1983), p. 1165. Le Corbusier, Towards a New Architecture (New York : Dover Publications, 1986), p.107. Anthony Vidler, ‘Third typology’, Oppositions, 7 (Winter, 1977), p.291. Walter Gropius, The New Architecture and The Bauhaus, (London: Faber & Faber, 1937), p.26. U.M.Platonov, R.N. Sergeev and G.N. Zosimov,Planning of science complexes (Moscow: Stroyisdat, 1977), p.6.